Tales from a summer camp...: Ultra-Orthodox! Since when did Judaism become a car wash? Ultra-Orthodox! 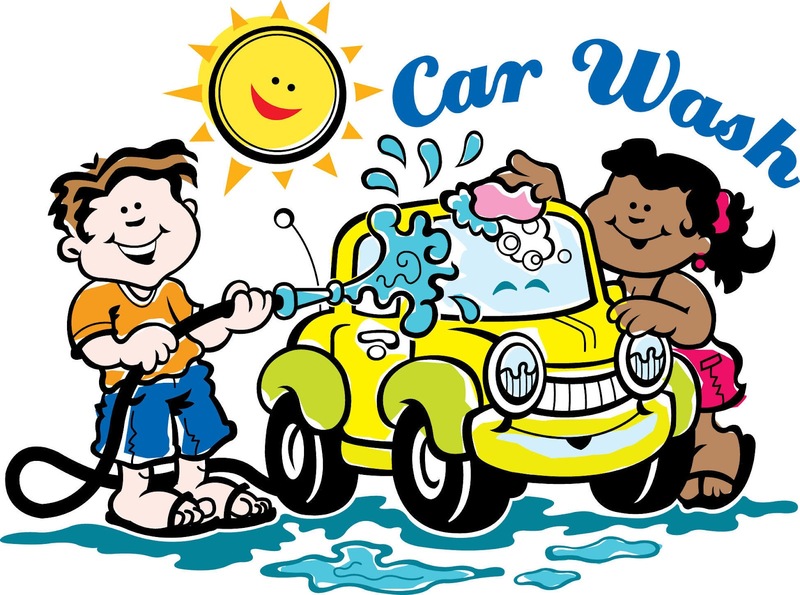 Since when did Judaism become a car wash? Recently, I was labeled “An Ultra-Orthodox Rabbi” by another blogger. I thought I cleared up the fact that I wasn't a Rabbi but now I have a new title to contend with, Ultra-Orthodoxy. 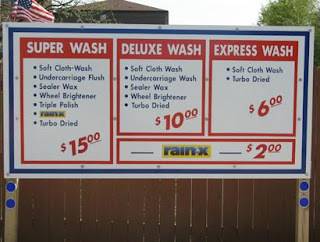 As one of my local rabbis pointed out, “Since when did Judaism become a car-wash?” Are we soon going to have super-orthodox, premium orthodox and super deluxe? Was there something wrong with orthodoxy that we needed to boost our status. Did R’ Moshe, R’ Yaakov and Rav Pam, the Gedolim I remember, consider themselves ultra-orthodox or were they just not good enough? Was Moshe Rabainu, The Rambam or Rashi Ultra-Orthodox? Today one can just put on a black hat and earns the title, but Is this a title that we have earned or is this a title that we chose for ourselves? And what exactly are we trying to say? I sure hope its not an “I’m better than you” attitude, because that never works out well. It’s not just the word ultra-orthodoxy that I resent. Recently, a friend of mine told me I belong to a new group of Modern orthodox / Chasidish Jews. Evidently, I heard a shiur from Rabbi Moshe Weinberger, which I enjoyed tremendously and this fit me into a brand new category. I’m no fan of the term modern-orthodoxy either. I’m still unsure of what it means. Are you modernizing orthodoxy or are you an orthodox jew living in modern times? Does someone who calls himself MO think that they don't have to abide by the same shulchan aruch. Is there an MO mishna brura, because I would like to see one. It’s like the teenagers I meet that tell me “I’m not shomer”. You mean you have a hard time keeping some halachos. Hey, that’s cool, but say it as it is. I was brought up as an orthodox jew and I choose to remain that way. As far a remember, I never signed up for the premium package. So please don't throw more chumras at me, because lets face it, there are a lot of basic halachos, and I’m still trying my best with those. I know plain old orthodoxy might not sound that attractive. But hey, who am I trying to impress anyway? These wellborn terms we came up with in the past 25 years are trivial and it just separates us, when in fact, today more than ever we need to come together. I can't think of one positive side of these absurd classifications. As a boy I davened at the 14th Avenue Agudah in Boro Park and I had the privilege to sit next to one of the most respected and influential Jews at the time. He was a very humble man who accomplished an incredible amount for Klal Yisroel. His name was Rabbi Moshe Sherer, the president of Agudas Yisroel. My father was his close friend and every Shabbos between aliyos they would discuss the issues facing the Jewish people at the time (that was back when it was still allowed to talk in shul). As a child I would listen attentively to the conversations in which they discussed the incredible challenge of maintaining the unity of Klal Yisroel. 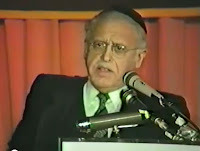 Rabbi Sherer was a man who knew our history and a leader who envisioned the future in detail. There was a lot of cheering from the crowd, but unfortunately we never listened to his pleas and today we have divided ourselves even more. We have allowed petty differences to create more sub-divisions within Klal Yisroel and the results are depressing. But it doesn't have to be this way. We can turn it all around. As a matter of fact, we can use modern technology to unite us. Yes, we can use the power of the internet to bring Klal Yisroel together once again. A key difference of the online world is that, for the most part, we can't see each other. When we are logged in, we lose our outside appearance but we can still create dialog with other people. One can join a torah group online and be unaware how everyone else is dressed and one can listen to an online shiur without knowing whether the magid shiur is MO or Chasidish. Because does it really matter? Isnt the truth, the truth no matter where it comes from. When someone comments on my blog, I know nothing about them other than what they write and I can only judge them for that and respond in kind. I often look at my webstats, where I can see every person that visits my site. I can see where they live, what brought them to my site, how long they spend on my page and even what computer or smartphone they are using, but I still don't know who they are. I try to envision what the Jewish guy in mexico looks like or what the person in canada finds interesting about what I had to say and why the guy in India stays so long and comes back every other night. Even if they leave me a nice comment, I still don't know much about them, but should I care? I’m communicating with them in a way that was never possible before. Sometimes I do meet these people in person and we continue our online discussion. But the crucial point here is that I already formed my opinion based on our discussion and now it means very little to me what he looks like. For once I feel I can judge someone for who they really are and not by their outside appearance. Some people believe one needs a real physical face-to-face relationship to mean anything, but I don't think the evidence supports that. Some of the strongest bonds humans formed over the past millenium were over long distance letters, but I digress. "My recent visitors to my blog, updated live"
The once eminence world seems so small now on my little internet map and I marvel at each visitor that happens to stop by. I have set each visitor and its location to sparkle in red. They represent my long lost brothers I never saw. Sometimes, when I look at my map, I wonder to myself, maybe that star I see glowing on my screen is the future Mashiach. Maybe he is reading my blog, not because I have something important to say but because he is trying to get a feel of where klal yisroel is holding today. Maybe Moshiach is checking all the internet blogs to see if Klal Yisroel is really ready for him to come. Are we using the Internet to unite us or to divide us. Its a very powerful tool and Its all in our hands. And then, when I really get carried away in my thoughts, I wonder, maybe hashem has a little map just like mine and he takes great pleasure whenever he sees a person do something good, whether its online or off. I doubt hashem cares about our outside appearance, and Im sure he doesn't cares what language we speak and I bet his stats are more sophisticated than mine. But just as my stats don't tell me if they are Ultra, MO or Chasidish, the one thing I am sure of is that on Hashems map it doesn’t say so either! Labels: Haredi Judaism, Hasidic Judaism, Modern Orthodox Judaism, Orthodox Judaism, Ultra orthodox. Didn't read the whole thing but I think you're missing something. These terms were not created by frum Jews. They were created by the outside or perhaps began with Reform Judaism who decided to give themselves a title. Then we kind of accepted these labels cause it's easier to just say "yes" if someone asks if you're "orthodox" rather than have a whole conversation that these terms are meaningless. Also, the media did a good job perpetuating this idea. I thought just like you. But then I started reading the papers and I started seeing people referring to themselves as ultra-orthodox. Thats when it started bothering me. We shouldn't accept everything the media calls us. Feel free to label my kitchen as kosher or "not kosher enough". But don't label me. I'm Jewish. Period. Can we choose self-ascribe to the appropriate title. I want to be premium un-orthodox with "invigorate"
Maybe with some of the terms, but I bet "Heimish" isn't one of them invented from the outside. "heimish" means as kosher as me. If you're heimish I can eat by you. I'm cool with Heimish, it has a good sound to it. The issue, with label and the written word is the people tend to define others and sometimes themselves in absolutes. I was learning in E"Y from 1990-92 and the term charadi was common. It wasnt until I started reading blogs in 2003 that I even saw the term charadi again. Because people don't talk like that. When we are forced to rely on an online description to define themselves or others we get trapped by labels. Rav Schwab said it best, to Hashem we are either observant of not. Looking forward to watching the video you posted. It's interesting, because while some like myself dont like it others seem very proud of it. I know words mean nothing and that is the point of my article but yet I find many who are proud of them. Anyways please watch the video, I'm sure you'll appreciate it. So, at what point do did people become proud of their labels? I dont think its that much of a point in time, as it is certain people that accepted it with pride. Read the wikipedia article on chareidi and you will find some interesting information there. I'm OK with "heimish" except when it means unprofessional. I realized the whole Ortho-labeling thing had gotten out of hand when I saw a questionnaire about different "flavors" of Orthodoxy. One question asked which group of Orthodoxy I most closely identified with. One of the choices was "Carlebachian."